If you are concerned about the comfort of your girl, then check out this romper brought to you by Mothercare. 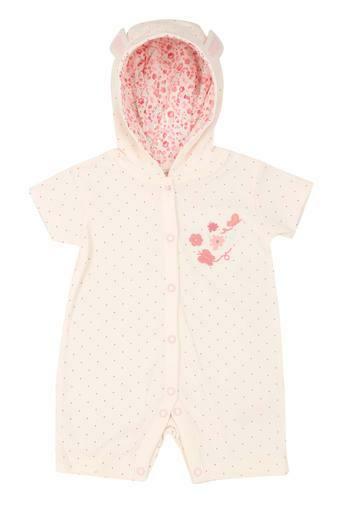 It comes with a dot pattern and hooded neck that will look great on your girl. Besides, the use of good quality fabric ensures utmost comfort and easy maintenance. 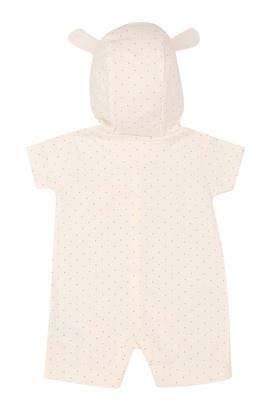 Your little girl will look cute at night in this smart and stylish romper. It can team it with a pair of booties to complete them casual look.